The end of 2016 is FINALLY upon us. It has been a tumultuous year, but, fortunately, that has not been the case at the cinema. For the most part, 2016 was a pretty strong year for film, one which will help anyone wanting to argue that Hollywood's best films aren't just superheroes and franchises. If anything, the franchises and superheroes suffered the most this year, with disappointments (Rogue One: A Star Wars Story) to outright failures (Batman v Superman: Dawn of Justice), though there was at least one very bright spot. According to my Letterboxd, I saw 30 films in the theater in 2016. Perhaps not an impressive number for one trying to discuss the 10 best of the year. There will always be films I didn't get to see for various reasons, which may discount some of my picks, but so it goes when you don't get paid for this sort of thing and have to work. 10. Ghostbusters - Was there any other film more controversial this year than Paul Feig's reboot of Ghostbusters? The entire production of this film from concept to casting to shooting to, finally, release was met with jeers. Grown men took to the internet to express their outrage that someone dared touch their precious franchise and reboot it....with WOMEN! Some even refused to see the movie outright because the idea was so insulting to them. These people would only be missing out. While, admittedly, I have never had a huge affinity for the original films, I simply adored Ghostbusters. From the fantastic visuals to the humor, this movie was one of the best popcorn flicks of the summer. Kate McKinnon, Leslie Jones, and Chris Hemsworth deserve tons of praise for their roles that stole this film. 9. The Jungle Book - Jon Favreau just may be one of the more underrated directors of our time. The man who brought us Iron Man and Elf continued Disney's latest trend of live action remakes of animated films with The Jungle Book. Though it was a big hit in March, people have kind of let the film slip from their mind as the year has gone on. 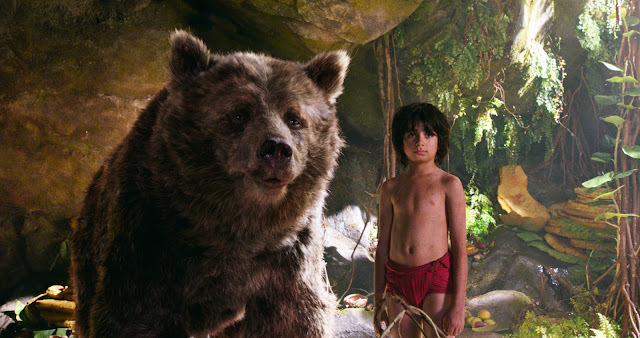 Neel Sethi does a fantastic job as Mowgli, an acting job that impresses even more when you realize it was done largely alone and 100% in front of a blue screen. The kid has a great imagination, and it doesn't hurt that he's a great actor too. What really steal the show here are the impressive, photo-realistic CGI animals. Sure, they have great voice talent behind them (Idris Elba's Shere Khan and Bill Murray's Baloo being the standouts), but you often find yourself forgetting that none of this was actually there. Technology and damn good storytelling blend perfectly in this film, which made me hopeful for the rest of Disney's live action remakes. 8. Moana - Disney had a pretty impressive year for animation, while Pixar was just...okay (an interesting role reversal from years past). 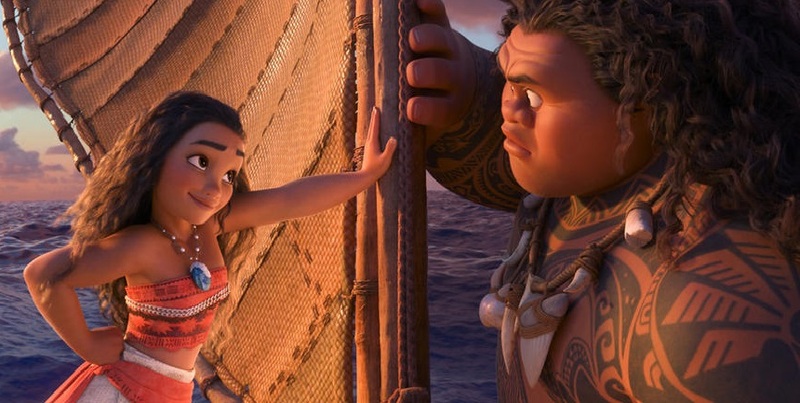 Moana continues the trend started by Tangled and Frozen of dishing out a high-quality, female-led film that provides an excellent example for all young girls watching that they are strong enough to do things on their own. Personally, I'd put Moana above those two because I found the story a lot more engaging and the fact that it's the most diverse film Disney Animation has put out in 7 years. While Frozen may have the edge in terms of songs your kids will be singing until the end of time, Moana's songs from Lin-Manuel Miranda are excellent. Auli'i Cravalho is great as Moana, but Dwayne Johnson's Maui is clearly the runaway star here, stealing every scene he is part of. I dare you to watch this and not come away smiling. 7. Popstar: Never Stop Never Stopping - I'm going to take a bet here and say that you probably didn't see Popstar this year. If you did, it probably wasn't in the theater. If this comedy film deserves any awards, it would definitely be Best Film No One Saw. While the box office returns may not have been great, those who have had the pleasure of seeing Popstar can attest to its greatness. A sharp satire of the current state of the music industry, Popstar takes a documentary approach to chronicling the rise, fall, and rise again of singer Conner4Real (Andy Samberg). 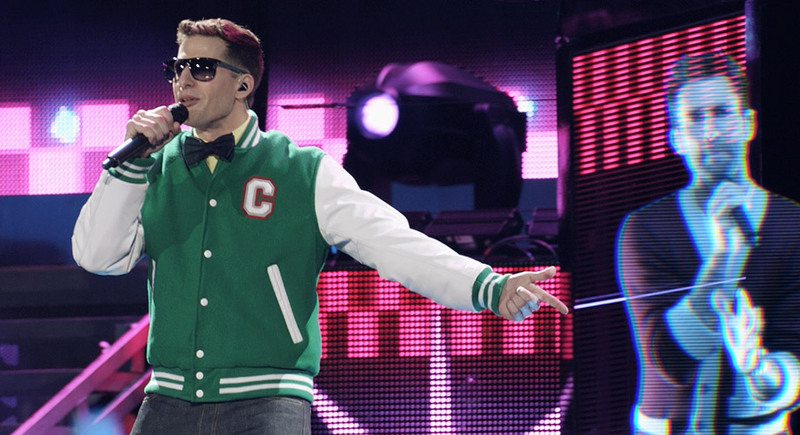 With some amazing songs from The Lonely Island, Popstar is easily the funniest movie of this year. While I did not love this as much as Macgruber, this is another great effort from Samberg, Schaffer, and Taccone. Make seeing this movie one of your New Year's Resolutions for 2017. 6. 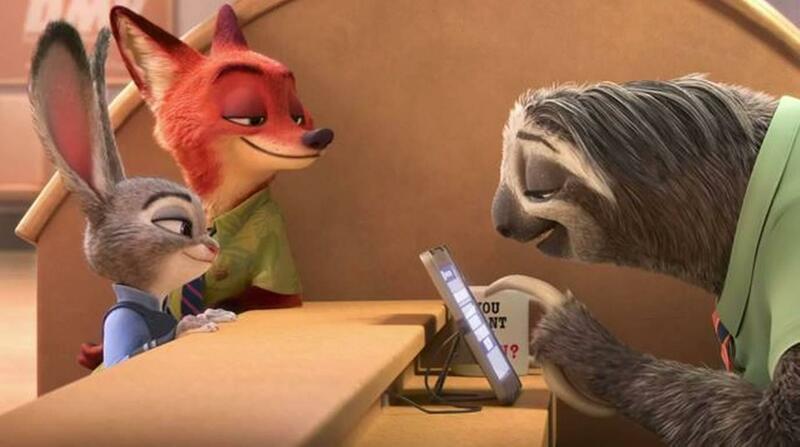 Zootopia - I told you this was a really good year for Disney Animation. Zootopia is probably the runaway hit for Disney's animated output this year, and for good reason. When I walked into the theater to see Zootopia, I really wasn't expecting much. While I liked the cast fine, it was just hard to get over this being yet another talking animal movie from Disney. The next 90 minutes would change my mind, however, as I found myself totally invested in this world where all animals, predator and prey alike, got along and lived in harmony. The jokes were on point, the cast, particularly leads Ginnifer Goodwin and Jason Bateman, was perfect, and the story was heartwarming. The cherry on top? The whole thing is a not-so-subtle commentary on racism. While that aspect may garner some eye rolls, it is handled very well for a children's movie and is one of the main reasons I will remember this film for years to come. 5. Arrival - In a year packed to the brim with science fiction, including a new Star Wars movie, it says a lot about the quality of Arrival that it was able to stand out from the crowd and get as much recognition as it has. 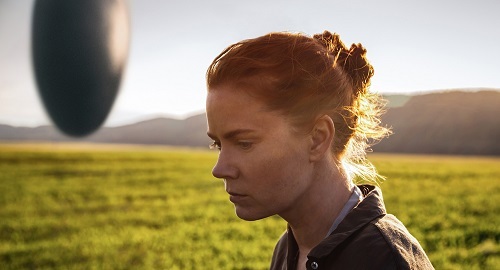 An excellent film to counter with when your friend tells you Hollywood is out of original ideas, Arrival's story of working to understand and not fear those who are different from ourselves proved to be much needed in the days after Donald Trump's election. An alien invasion story where the aliens take a back seat to the very human element, Arrival will go down as an exemplary film of its genre. Amy Adams and Jeremy Renner are utterly fantastic, giving some of their best work in years. What the success of Arrival really boils down to is the pitch perfect script by Eric Heisserer and the direction of Dennis Villeneuve. Villeneueve and cinematographer Bradford Young work together to provide some of the most stunning shots of all of 2016's cinematic output. 4. Fences - Adapting a play for the screen can be a challenge, especially when you're adapting one like Fences. The classic American play takes place entirely on one set, making it a challenge on film to balance that set as well as finding ways to integrate others so the film doesn't feel so stagnate. Fortunately, director Denzel Washington does that very well, portraying the play in a way which shows clear understanding of the material in order to know how to best adapt it to the screen. Reprising their roles from Broadway, Washington and Viola Davis are sure things for all the acting nominations you can give, and they probably deserve to win every one of them....especially Viola Davis. August Wilson's classic piece is adapted in a loving way, and, despite its late 1950's/early 1960's setting, feels just as modern as anything else released this year. Davis, Washington, and the entire cast tackle some tough material to perfection, with each emotional beat packing a wallop of a punch. I had a lot of memories of Doubt as I walked out of the theater. 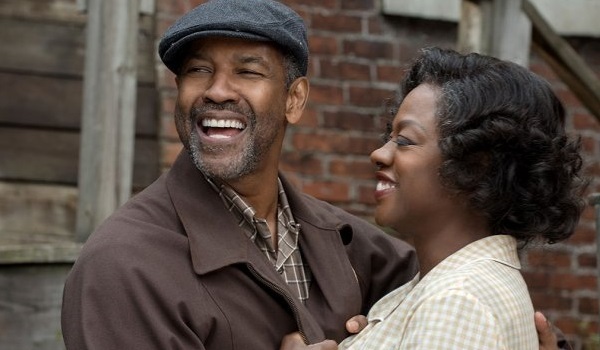 Much like that stage-to-screen adaptation, Fences will likely stick with you long after you've finished watching. 3. 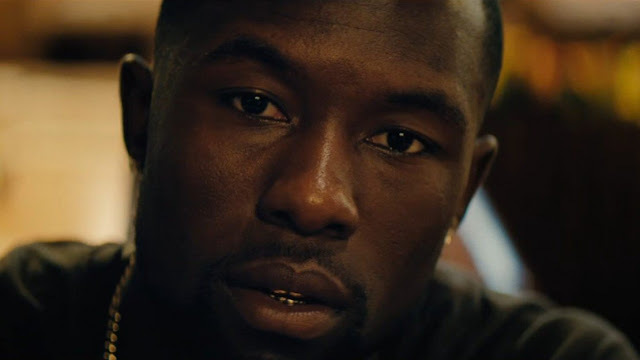 Moonlight - What's there to say about Moonlight that hasn't already been said? Even if I didn't love the film as much as I did, I still would have put it in my Top 10, because I think it is vastly important that a film like this exists. Far too often in mainstream cinema, gay African American characters are portrayed in stereotypical, feminine fashion. Never are these characters' love lives explored; they are always the best friend. Moonlight challenges all of those stereotypes in a three-part story that feels reminiscent of the underrated Place Beyond the Pines. Barry Jenkins does a fantastic job as director, but it is in the three actors who play Chiron that really makes this movie really work. Trevante Rhodes in particular does an amazing job. What I really love about this film is that, while the script is solid, Moonlight is entirely a movie sold on what isn't said. The eye contact, silence, and body language tell so much more of the story than any of the dialogue. This may be the most important film of the year. 2. Green Room - 2016 was not a very notable year for horror. While most critics fawned over The Witch, by far the horror outing I found myself loving the most this year was Green Room. 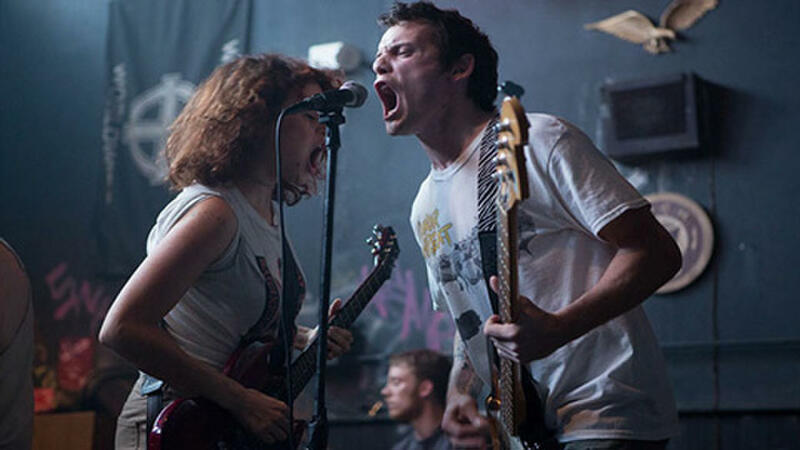 Post-election, this tale of a punk rock band trapped in a backwoods Nazi club may be a bit too prescient for some. Patrick Stewart is absolutely terrifying as the film's antagonist, walking the line of respectable leader and fearful despot perfectly. But it is more in the actors who comprise the film's band that makes this film so great. The late Anton Yelchin stands out here, giving perhaps the best performance of his (unfortunately short) career. The script and direction by Jeremy Saulnier is also top notch, not holding the audience's hand in any way, but not being overly philosophical either. A violent adrenaline rush, Green Room is one of the most unforgettable movies you will ever see. 1. Captain America: Civil War - Phase Three of the Marvel Cinematic Universe was kicked off in the best way possible. The Russo brothers returned after the stunning Captain America: The Winter Soldier to deliver the next solo Captain America film, an ensemble piece which many were worried would feel more like another Avengers film than just a Captain America adventure. More trust should have been put in writers Christopher Markus and Stephen McFeely, who keep those plates spinning while delivering a story that is immensely epic and deeply personal. Chris Evans continues to impress in the new ways he can find to make Steve Rogers a more relatable character. Newcomers Chadwick Boseman and Tom Holland also stand out as Black Panther and Spider-man respectively. While WB/DC struggled twice this year, Marvel proved why they're still the man to beat in this superhero race. Civil War sets a new bar for the Marvel Cinematic Universe and the genre as a whole. Well, that's my Top 10. Overall I thought 2016 was another great year at the movies, and hopefully 2017 will continue that trend. You can check out my full list of films I saw in 2016 by clicking here.